I encountered many interesting facets that make Tanjung Pandan in Belitung such a remarkable place – from the unique daily rituals of its people to the variety of its delicious local cuisine. One that has still haunted me since I returned from my recent trip there was soto Belitung (Belitung beef soup). I chanced upon this local treat while I was paying a visit to one of the longest standing eateries in Tanjung Pandan: Kedai Mak Jannah. A well-known establishment among the locals, it was founded in 1970 and its rising popularity since then has seen it become the go-to culinary stopover for both local and international tourists. 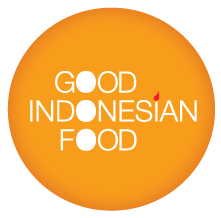 Its signature dish is, of course, soto Belitung, which has an appearance that is very similar to lontong sayur (rice cakes with vegetable stew in coconut milk soup) and shares more or less the same composition of ingredients. 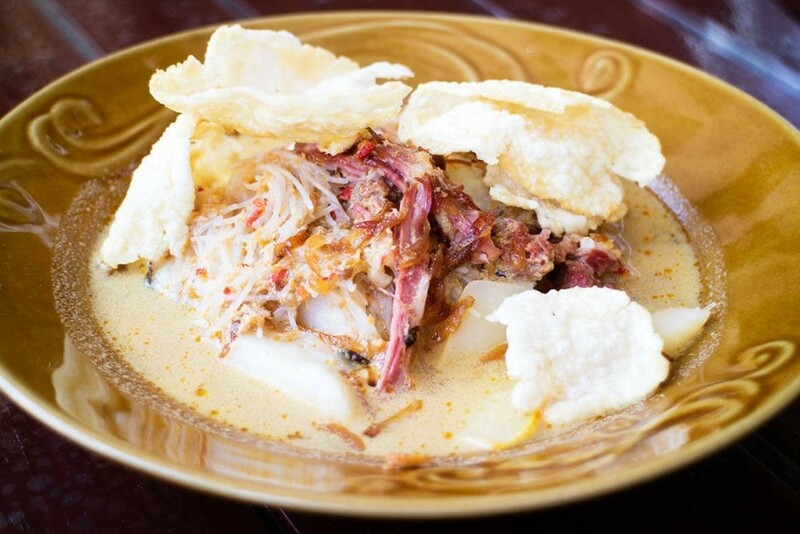 It consists of a bowl of flavorful coconut milk soup filled with rice cakes, rice vermicelli, potato and shredded beef and topped with fried shallots and kerupuk emping (seed crackers). Its smooth coconut milk soup combines well with the soft shredded beef, and lends a flavor that could set any tongue wagging. Kedai Mak Jannah’s opening hours are quite short, with morning being the most hectic time of the day. For many of the city’s residents, a serving of soto Belitung has become the favorite way to start their day. The strategic location in the city center makes Kedai Mak Jannah easy to reach before they continue on with their daily activities. Opening hours: Opens daily from 7 a.m. to 2 p.m.